Welcome to the Pink Hat Campaign! My name is Nick Errico and I am a retired Lieutenant with the Park Ridge Police Department. I have created a way to spread the word and support Breast Cancer awareness & research. 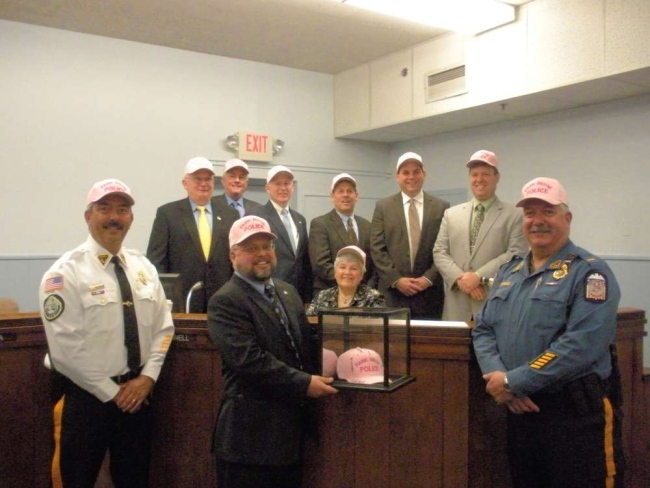 I began this organization in 2012 by creating personalized pink hats for police officers/firemen to wear while on duty. This has since expanded to many locals within the community supporting this great cause. All proceeds are donated to The OctoberWoman Foundation based in Park Ridge, NJ. This foundation generously matches the amount raised and the money is then donated to the Columbia University Medical Center. Since 2012, we are proud to announce that over $174,386 was raised to fund research & a patient wellness program. We are looking forward to our 7th annual hat sale this year! Special thanks to The October Women Foundation for their generous contributions to the Pink Hat Campaign!